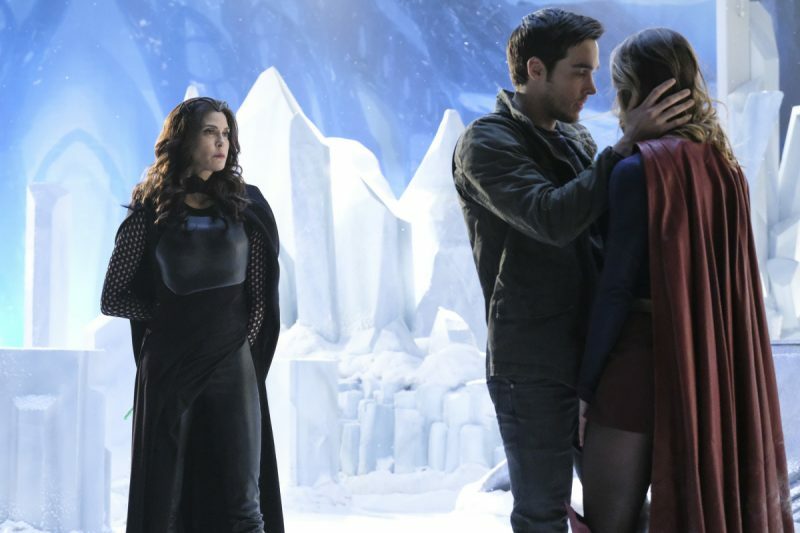 It’s time to face facts: Mon-El is sucking the oxygen out of Supergirl. Frankly, it would’ve been for the best for both the character and the series if he had left Earth with his Daxamite parents—a Mon-El striving to rehabilitate his planet’s caste culture would’ve served as the perfect conclusion to his character arc from callow prince to responsible, civic-minded hero. Instead, “Distant Sun” retreads the same familiar Mon-El plot points that have been exhaustively trod by now while denying other characters access to storylines and screen time. What was once a strength of Supergirl was supporting cast members that supported the lead while leading interesting lives in their own respective rights. Unfortunately, these days the show has been so singularly focused on the Supergirl/Mon-El relationship that it may as well be called Supergirl <3 Mon-El 4ever. For all intents and purposes, “Distant Sun” is a direct continuation of last week’s “Star-Crossed” in that the A plot focuses on Rhea and Lar Gand (played by Teri Hatcher and Kevin Sorbo, respectively) and their goal to rebuild Daxam’s empire with their son Mon-El by their side. At the same time, “Distant Sun” retains the status quo established by the events of “Duet,” last week’s episode of The Flash which guest starred Supergirl and Mon-El. That episode climaxed with a cheap reunion between the two that invalidated the legitimate misgivings Kara had about Mon-El at the conclusion of “Star-Crossed.” Indeed, “Distant Sun” opens on a moment of domesticated tranquility as we witness Mon-El making a bountiful breakfast for Kara (at least the scene somewhat upends traditional gender roles by having Mon-El play the “happy homemaker”). We don’t get a lot of time to dwell on our misgivings about Kara taking Mon-El back before duty calls and she has to punch out an alien—an alien, she later learns, was attempting to collect on a large bounty put out on her. Suspecting that his parents placed the hit on Supergirl, Mon-El confronts Rhea and Lar Gand. Naturally, they deny the charges while continuing to ply their parental guilt onto Mon-El in order to sway him toward their side. Kara is advised by Hank to lay low for the next 24 hours while the bounty is in effect, a request that chafes at her since it seems to her like she’s hiding from the enemy. The enemy nonetheless finds her as a mind-controlling alien seizes control of Mon-El’s body and manipulates him into attacking her. Mon-El is sure now that his parents arranged the attack but Supergirl, being the trusting and kind-hearted soul that she is, prevails upon Mon-El to have a conversation with Rhea at the Fortress at Solitude. To no one’s surprise except maybe Supergirl’s, Rhea has treacherous intentions in mind, attacking Supergirl with a Kryptonite katana until Mon-El agrees to leave the planet with her and Lar Gand. The plot point of a reluctant Mon-El accompanying his parents in order to ensure the safety of Supergirl and others will seem familiar to you if you’re a regular viewer since it’s essentially the same thing that happened last episode. A serious case of déjà vu pervades this Kevin Smith directed episode: once again, we find Mon-El acting like an intergalactic Hamlet and constantly second-guessing himself while Supergirl questions the values of the Daxamite culture in which her boyfriend was raised. Granted, “Distant Sun” has Rhea wielding Kryptonite katanas, which is pretty badass, and expands on her maternal motivations to protect her son from a woman whom she sees as a bad influence. But, as stated earlier in this review, it’s weird to see Rhea make a complete heel turn after “Star-Crossed” seemed to conclusively wrap up her and Lar Gand’s storyline. It’s not that seeing more Rhea is a bad thing—Teri Hatcher imbues her with the sort of spicy, campy malice that the role requires. Still, one can’t help but notice how the singular focus on Mon-El and Daxam this season has left characters like James Olsen out in the cold. Once a key figure in the Supergirl universe, James has been reduced to a bit player in Season 2; he shows up briefly in a scene at Kara’s apartment and later makes a token appearance as the Guardian. That may not seem like a lot, but it’s more screen time than the character’s received lately. Moreover, it’s become clear in the few episodes since Kara was fired from CatCo that abandoning Kara’s work life has hurt the show. Working at CatCo gave her (and the show) an ideal work-life balance that’s sorely missing lately—all she seems to do now is fight aliens, work at the DEO and deal with Mon-El while most of the supporting cast is left with little to do. Speaking of the supporting cast, the B plot to “Distant Sun” involves potential tension in the Alex and Maggie relationship that turns out to be fairly inconsequential and anti-climactic. The two run into Emily, an ex-girlfriend of Maggie’s who harbors an old grudge against her. It’s also revealed that Maggie has been keeping secrets from Alex, such as the fact that she cheated on Emily. This sounds like I might be beginning to describe the plot to a storyline in Emily seeks her revenge by, I dunno, launching a crime wave that her police officer ex has to stop. Unfortunately, the “real” story isn’t nearly as exciting as that. 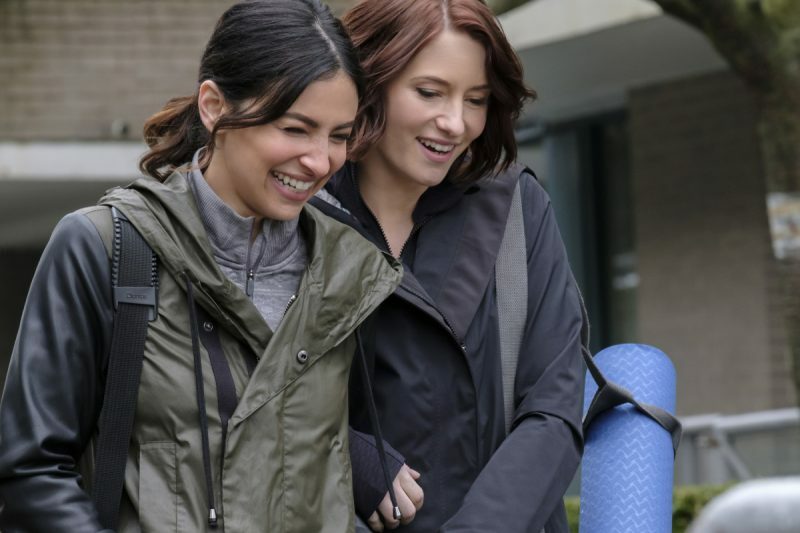 Instead, Alex has a super-adult and mature conversation with Maggie in which she tells her girlfriend that she’s not mad about the secrets. The two have a tearful reconciliation in which Alex assures Maggie that she’s safe; later, Maggie finds Emily and they repair the romantic fissures of the past. It’s not to say that this plot is bad necessarily but it all seems a bit unnecessary as it doesn’t necessarily break new ground in terms of their relationship or of our understanding of these characters. Still, at least we got to see characters aside from Supergirl and Mon-El exercise agency or play a significant role in the plot. Speaking on behalf of many, if not most, Supergirl viewers, I could use a moratorium on Mon-El for the moment. Unfortunately, we don’t seem to be heading that way as the show seems bound to use Rhea as a returning antagonist. Hopefully the Supergirl showrunners will remember to include its other characters as well. Despite it being directed by Kevin Smith, this episode didn't feature Jay or Silent Bob! Maybe we can do a non Mon-El storyline for a change?